Let us look at the folkways of Askas. Unfortunately, most of the folkways no longer exist. Before Christmas, housewives start reparations for Christmas. Preparations include cleaning the house, dusting, shining, arranging furniture, baking rusks, and painting the inner and outer walls white. They used to mix paint with whitewash, so as to achieve the traditional with colour to the walls. On Christmas Day, people go to church. After Divine Service, people receive communion, which is known in the Cypriot dialect as “paskazo”. After Mass is over, people exchange wishes. After church people go home and gather around the table in a happy, family atmosphere to eat chicken and soup or “traxana” soup, which is a traditional dish. A few days before Christmas people used to butcher the pigs they owned to make bacon, ham and sausages. They made salted pork and “Zalatina”. 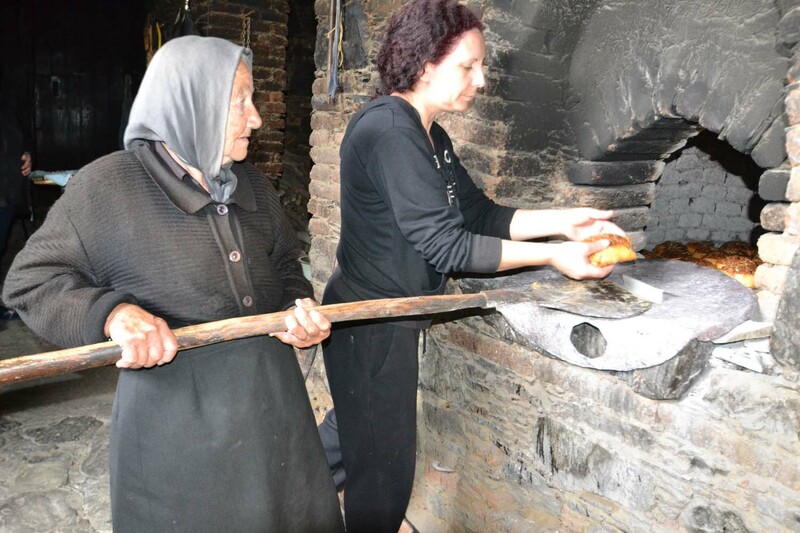 They used to hang the sausages on the fireplace “tsiminia”, so that they would be slowly roasted. The rest of the meat was cooked and along with fat was kept in “koumnia” which are special containers made of clay. In this way, they had food for a long time. On New Year’s Eve, housewives prepare the New Year’s pie and put a coin inside. The pie is eaten on New Year and who ever finds the coin is considered lucky all year round. On New Year’s Day, people go to church and when the Service is over, they kiss and exchange wishes. 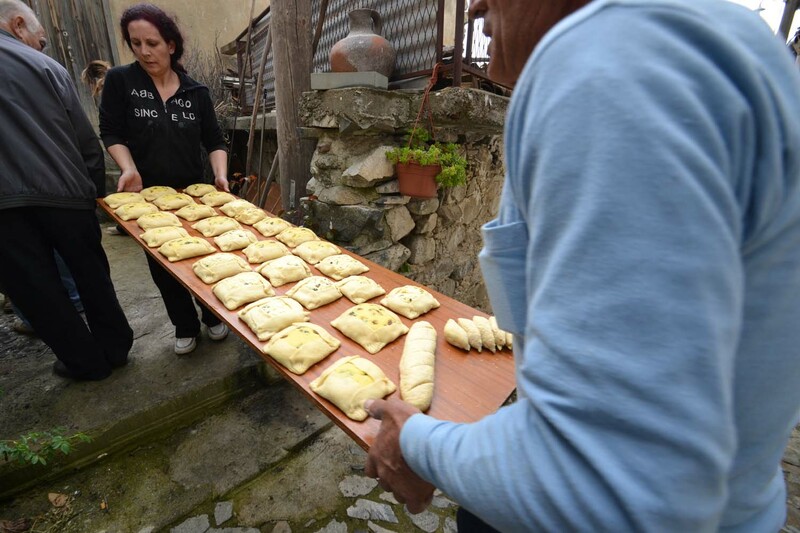 According to old Cypriot customs when people return home from church on the first day of the year, they should enter with their right food so everything will go well during the New Year. On New Year’s Day people used to play games with cards at their houses or at coffee houses. Some of these games were “Siemes”, “Poka”, “Poker” and “Patito”. Instead of using money, they used food, especially candy. 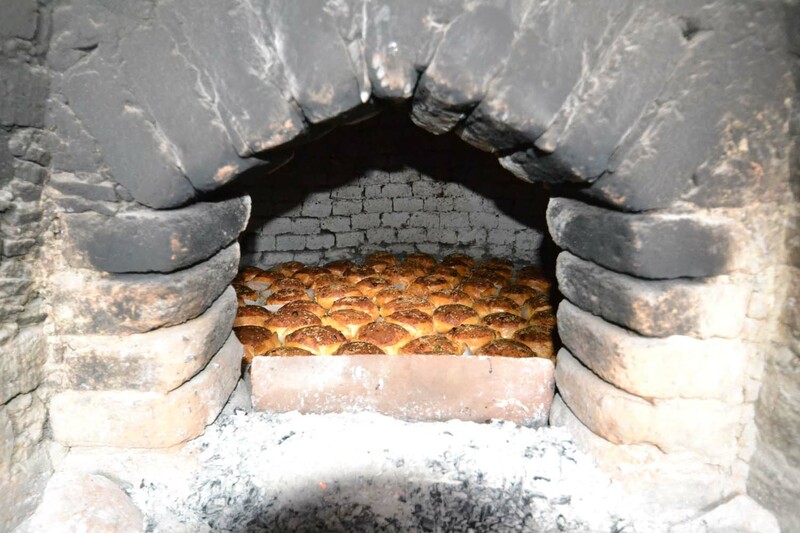 On Epiphany Day, housewives baked “kserotiana” which is a kind of doughnut. They used to throw some doughnuts on the houses’ roofs so bugbears, or else “kalikantzaroi”, would eat and leave. After Mass, the village’s priest went around all the houses and sprinkled people with holy water. This custom is known as “Kalanta”. He was accompanied by a child who held the container with the holy water. All people would throw some coins in the container, as a gift to the priest. In Greek “Sikoses” is the period between the Beginning of carnival on Sunday and the following Sunday that is Shrovetide Sunday. During this period, people used to masquerade and go round their relatives and friends’ houses. They celebrated by making joking and having feasts. On Green Monday, people used to go out in the fields and ate mostly vegetables and no meat. This custom is known as “cutting the nose of Sarakosti”. During this period, people did not stop dealing with their everyday activities. Several Days before Easter Sunday housewives clean their houses. 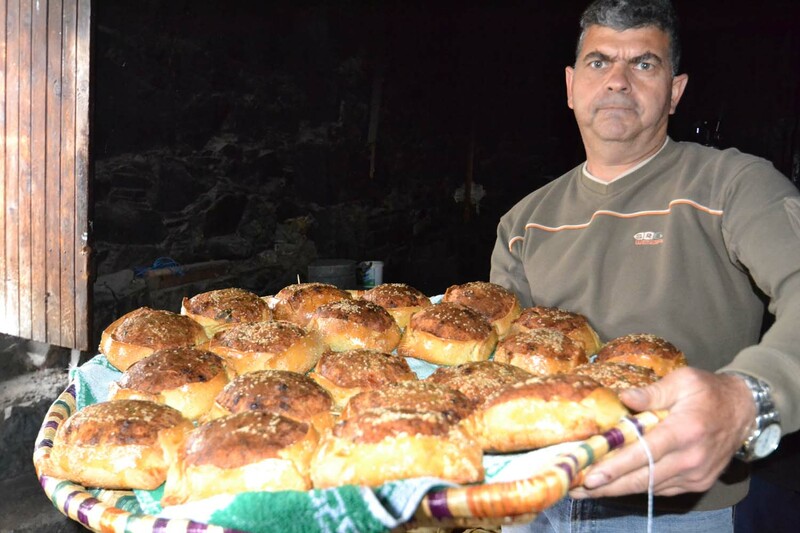 They bake rusks and “flaounes”, a traditional Cypriot kind of cheese-bread. On Maundy Thursday, they dye eggs red so they can “chink” them on Easter Sunday. Saturday before Passion Week: On this day, two groups of children used to go around houses and chant a song named the “Lazaros”. Housewives gave them money and eggs, so that they could dye them. Hosanna Sunday: During this day housewives take boughs from olive trees to church to be kept them there until Whit Sunday. The boughs are hallowed and then taken back to people’s houses so that the family is protected by envy and evil. On Maundy Thursday, the iconostasis is covered with a black cloth as a sigh of mourning. In the evening, a model of the holly cross is placed in church along with a model of Saint John and Virgin Mary on the right and left side of the cross. Everyone goes to church in order to worship the holly cross and listen to the twelve gospels about the Passion Week as well as Christ’s crucifixion and death. On Good Friday, in the morning the Sepulchral is decorated with flowers. Young men and women chant the Dirge whilst girls bearing pomades sprinkle pomade, and throw flowers at the Sepulchral. At night, the Sepulchral’s procession takes place around the church. After the Service, everyone stays at church and chant Virgin Mary’s Pieta. On Holy Saturday during the morning Mass and when the priest says, “Christ has risen” people make noise with their stools and the black cloth fall off the iconostasis. Around eleven o’clock in the evening the church bell calls all people to church, to celebrate the most important and joyful Service. 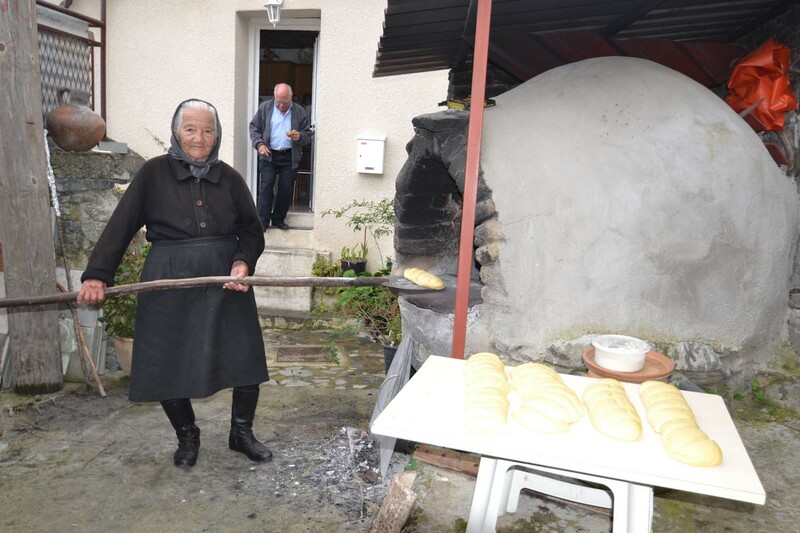 At the church’s parvis, people light a fire known as “Lambratzia”, a kind of bonfire. At twelve o’clock the priest announces, “Christ has risen” and starts with the vicars the litany procession. People light their candles from the Resurrection’s holy light held by the priest. Outside the church people will listen to the Gospels and chant. After church people go home, “chink” eggs, and wish each other. They note that Christ has risen, by announcing “Christ has risen” and “he has indeed risen”, accordingly. 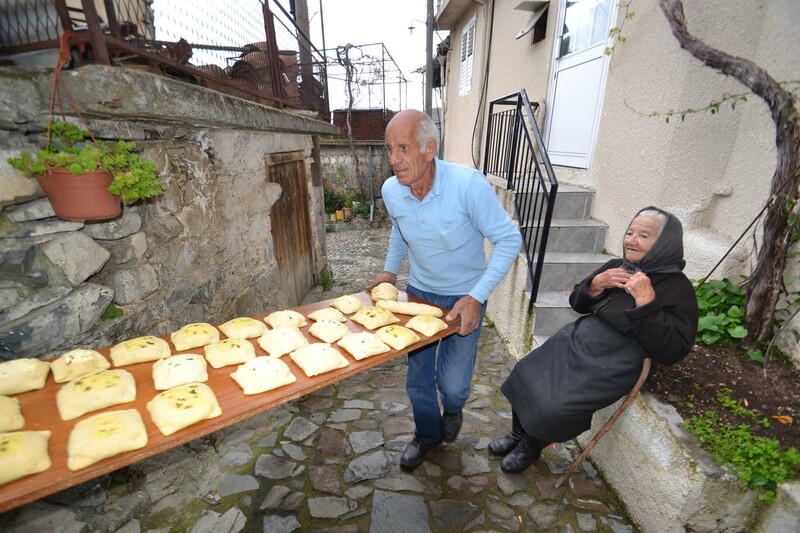 They also eat a soup with chicken and lemon, known as “augolemoni”, or “traxanas” soup and “flaounes”. On Easter Sunday, they roast lamb and enjoy themselves. In the afternoon, the local council organises events at the village’s square and people play traditional games. These events are continued on Monday and Tuesday and are concluded when they roast meant near Agia Paraskeui’s chapel. Matchmaking took place through a matchmaker or a ember of the family, who talked to the parents of the bride and tried to convince them. They always considered whether the young man came from a good family, if he had some money and if he was hard working. When he came from another village, then it was the parents’ duty to visit that village and ask people there if he was good or not. Most of the times, the bride’s to be opinion was not considered. At logiasma, only close relatives were invited, such as godparents, aunts and uncles, grandparents, siblings and the priest, who would conduct a prenuptial agreement. This agreement was regarded legal and this is where the dowry was agreed. After this procedure, followed a feast. Not everyone was invited at the engagement party. The couple exchanged rings and handkerchiefs. The father of the bride was responsible to provide the house, in which the couple was supposed to live. This was quite hard, because they needed to collect the stones for the construction themselves. The invitation for the wedding took place a fortnight before the wedding day. The groom and the best man took on the invitation by offering “glistarkes”, a kind of bread and candles to all close relatives. On Sunday afternoon, just before the couple went to church, the bride got ready for the wedding with the help of her family and friends, her maids of honour (“koumeres”) at her place and accompanied by music (violin and lute). Her parents would give their blessing by crossing a red cloth around her waist. The groom prepared for the wedding at his house, just like the bride. The barber gave him a shave whilst music was playing and his best man helped him get dressed, namely put his short and jacket on. The best man always sang along with relatives and friends. After the wedding ceremony, all neighbours were on the streets so as to welcome the newlyweds in their new home, by throwing flowers and offering them rosewater. The couple would stay at home, while all their family and friends would party. On Monday morning, a feast took place and all relatives and friends brought gifts for the couple. Then the couple would dance. During this wedding dance everyone gave money to the couple in a rather extraordinary manner. They pinned money and clothing on the couple’s clothes while they were dancing. This custom is known as “ploumisma”. On Tuesday after the wedding, namely two days after the wedding, all relatives would go around the village and collect chickens from everyone, so as to cook them and eat them. Askas maintains a possibly unique way of constructing buildings. This particular traditional art is rooted in the distant past. It was spread from generation to generation, from builder to builder, this way accurately maintaining both the style and the technique of building construction. One would say that the constructors of Askas managed to create a unique architectural style. 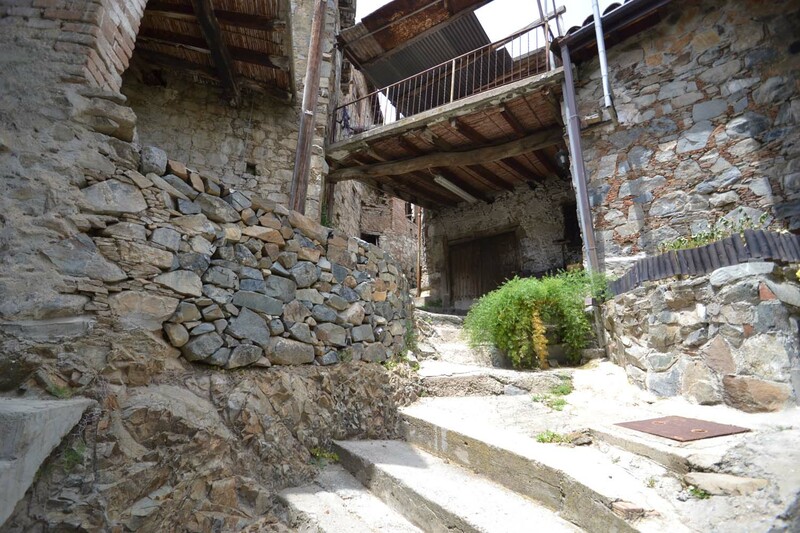 It would not be an overstatement to characterize the builders of Askas as “artists”, since they have managed to give their buildings a completely different character using exclusively local materials. 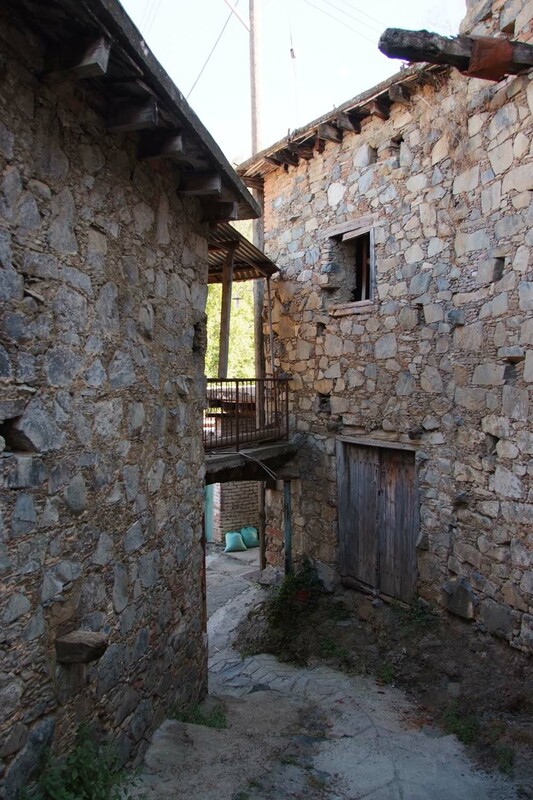 The way of constructing the housed is called “askas building” and its basic characteristic is the unique technique in lining stones. 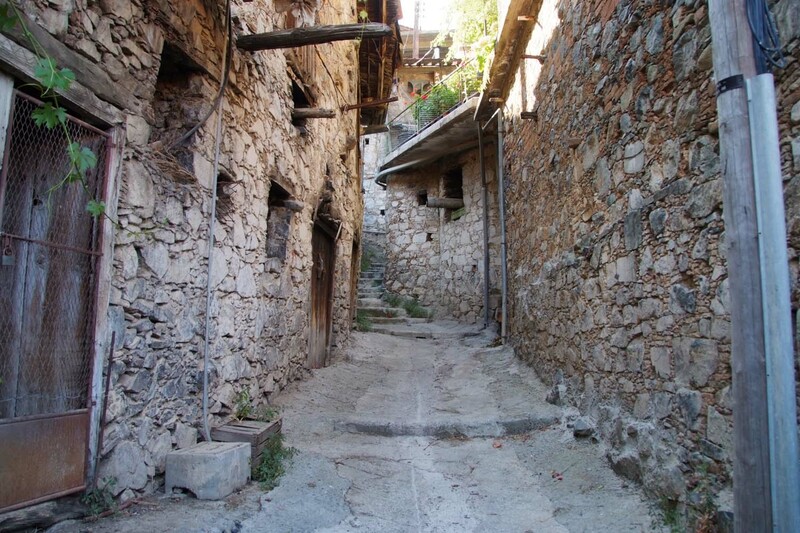 A distinctive style is undoubtedly provided by the local materials used, such as stone, soil, and pine wood from the surrounding villages. Furthermore, the tiles that cover the roofs are manufactured in the village. The constructors of the community traditionally got into building mansions in Askas. 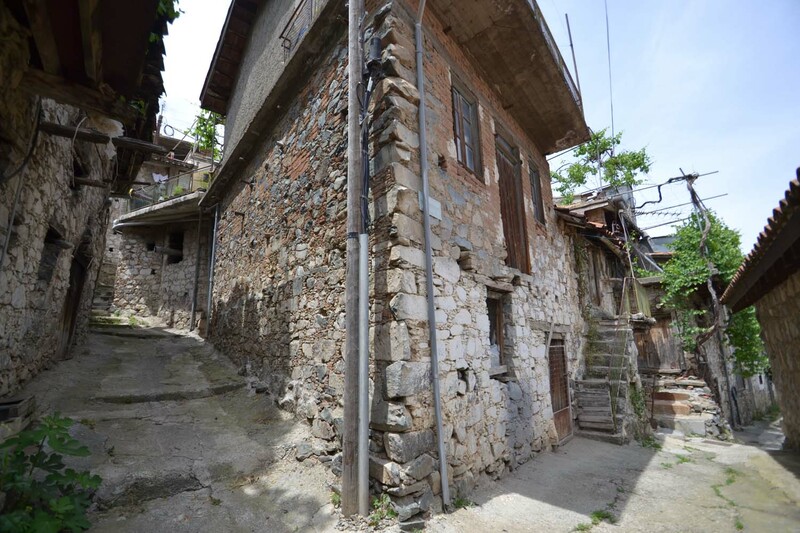 However, the “Askas building” was gradually spread to the urban centres of the island. 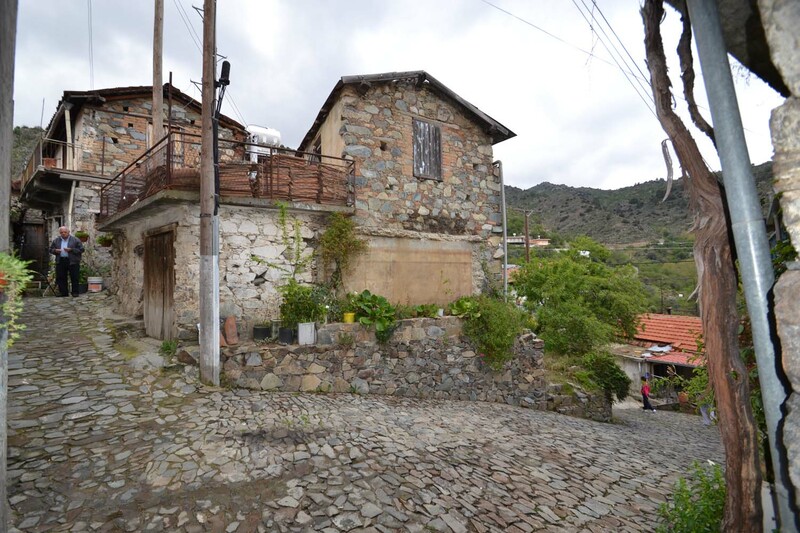 Throughout the community, one can encounter mansions built in the traditional way. Actually, several of them have been maintained without altering the “askas style”. 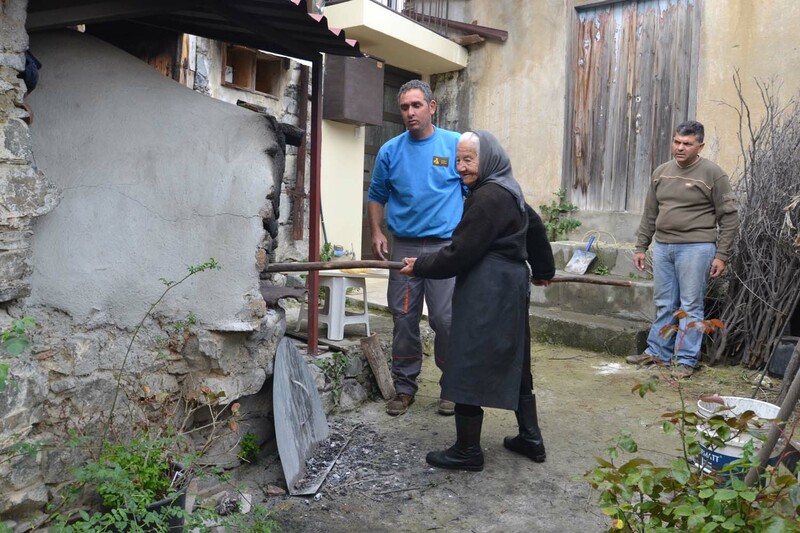 A special place among the buildings of the community is held by the community council, which constitutes an excellent sample of the “askas building”.